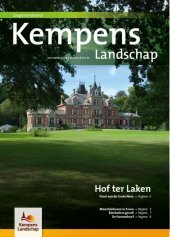 An unmissable stop when you are discovering the Kempen's nature reserves! The historic Railway Fort is now open to the public. The armoured fort that once defended the main railway between Antwerp and Brussels has been given new life. NPO Kempen's Nature Reserve renovated the building and transformed it into a promising new centre with thrilling experiences on offer for young and old. Go on a walk that takes you through dark passages and the former military base. Visit the exhibition and discover how soldiers defended the fort back in 1914 against a covering fire from the German troupes. You can also get acquainted with its new inhabitants: the bat colonies hibernating in the subterranean passage ways. And for those who need to get reenergised, please do come and enjoy refreshments in our exclusive brasserie!